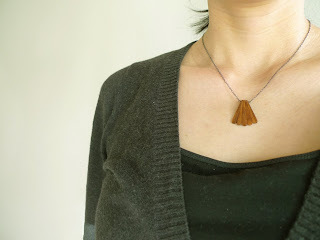 I've had my eye on this necklace for awhile, and had it bookmarked in my Etsy favorites. Well, one of my friends looked through my favorites and got it for me for my birthday! I love it! What a lovely friend! It's a very pretty necklace. I so appreciate people who take the trouble to get really thoughtful gifts.